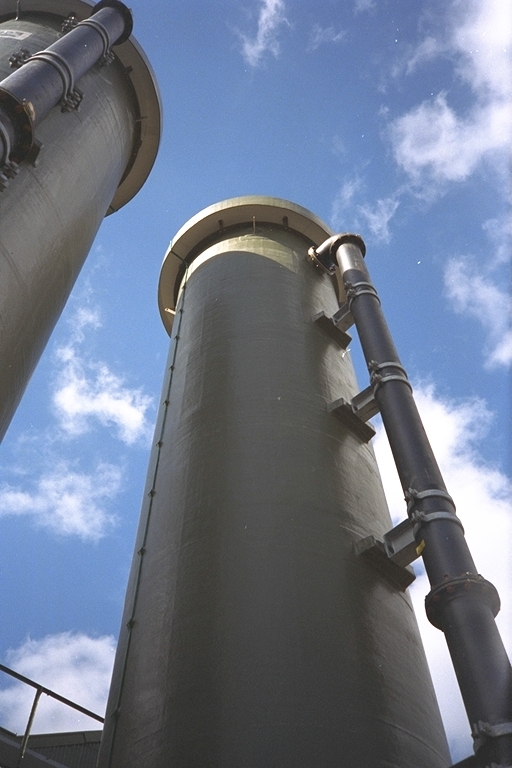 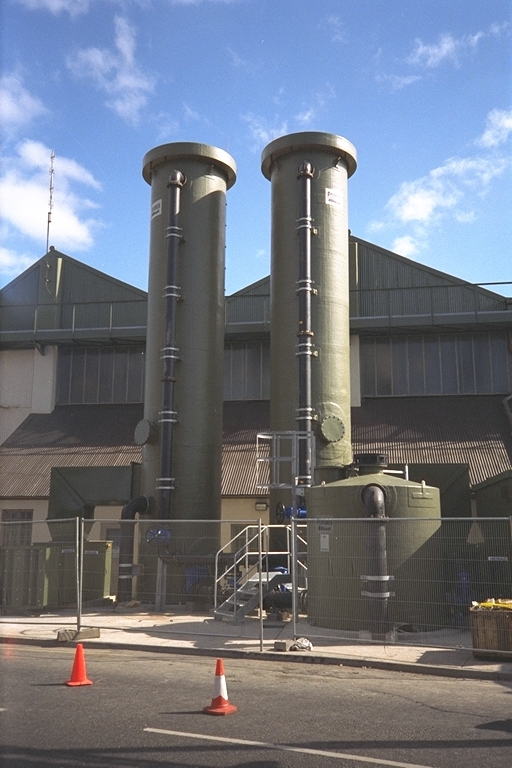 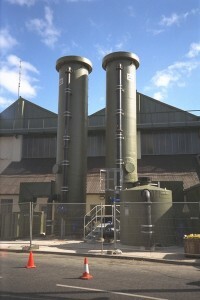 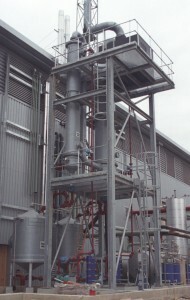 Wet scrubbers remove contaminants from a gas stream by passing the stream through a packed structure. 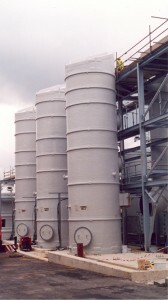 The contaminant is absorbed into or reacted with the scrubbing liquor. 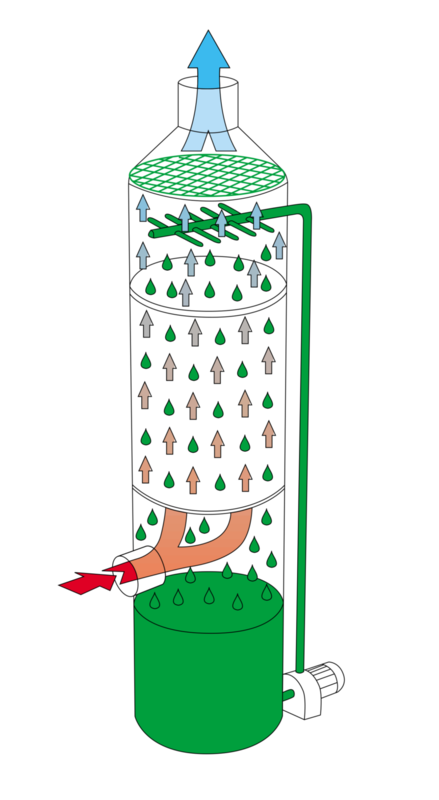 The tower is designed to maximise contact area to encourage mass transfer, achieved by the use of a random packed bed. 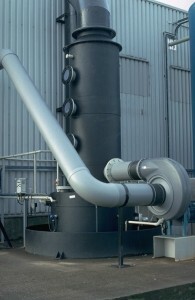 They can be designed for very high efficiencies with relatively low capital and running costs. 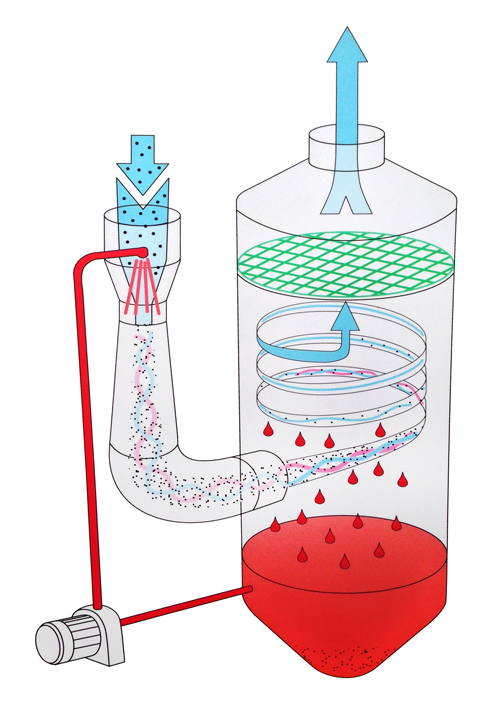 Venturi scrubbing is a most effective technique for the removal of particulates from a gas stream, even down to sub-micron size. 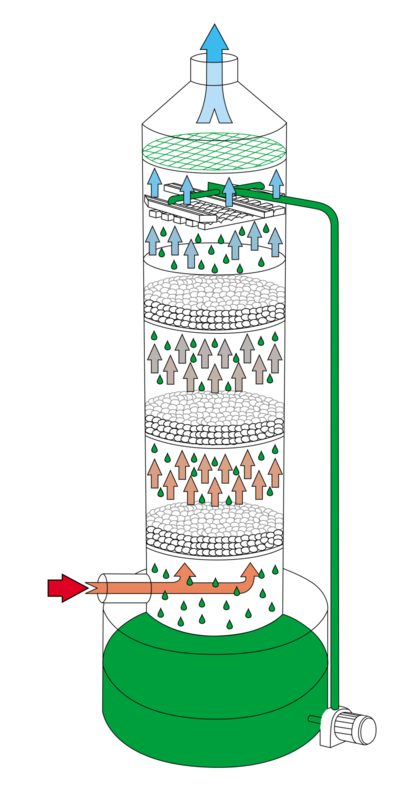 In a fluidised bed scrubber the typical single bed of a packed tower structure is replaced by two or more shallow beds, which expand during surges of flow. Our extensive ‘in-house’ capabilities include mechanical engineering design along with chemical process design. 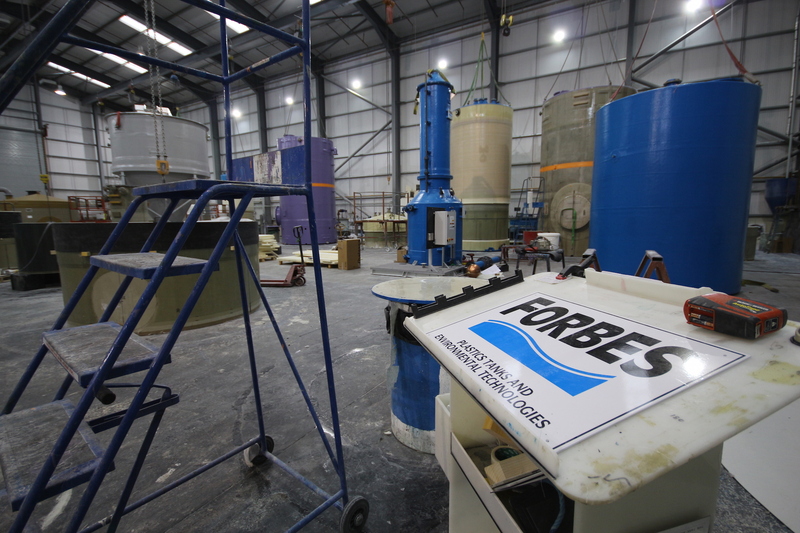 Our customers can be confident that Forbes’ wet scrubbers surpass all safety and environmental recommendations. 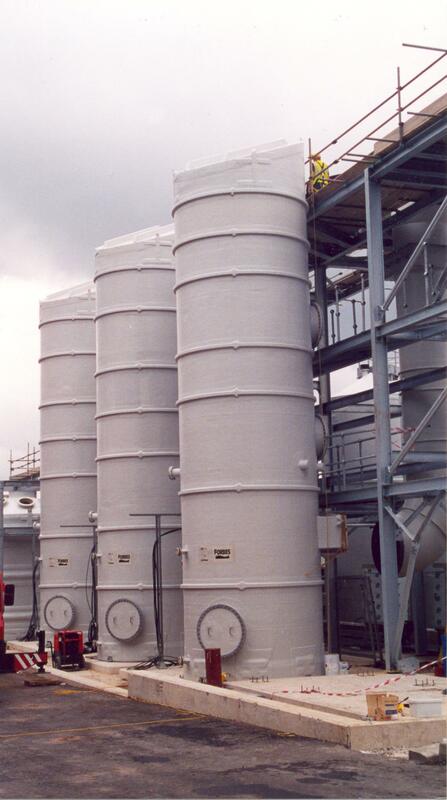 From our UK-based factories we also fabricate thermoplastic storage tanks, along with pipework, monitoring gauges, filler stations and everything else required for the safe bulk storage of hazardous and fuming chemicals.